Mankind’s desire to fly stretches all the way back to several hundred years BC, and the journey to where we are today was not easy. Thousands of failed projects and ideas have led us to finally creating machines that allow us to stay in the air without crashing back down to earth. One of them is a hang glider. But how does a hang glider stay in the air? Mechanical lift (also known as ridge lift) which is created when the wind hits an obstacle that is steep enough to give that wind upward momentum, for example, vertical cliffs, which creates a rideable wave that exists for the length of that cliff. The first person to manage this was Otto Lilienthal, who built controllable gliders in the 1890s, keeping them up in the air by using this lift method. Another kind is a thermal lift, which is basically a pocket of rising air that is caused by the temperature difference. It happens, for example, when the Sun is unevenly heating the ground, creating a pocket of hot air that is surrounded by cold air, lifting it upwards. Birds can use the thermals in exactly the same way, allowing them to stay in the air without flapping their wings. Using lee waves, commonly known as mountain waves, is also a possibility. A lee wave is a standing wave that is generated inside the sheltered part of the mountain, while the air is passing over or around the mountain. It works by cascading down the sheltered side with considerable energy, and then bouncing up again, lifting the hang glider up. Flying in the up-going parts of the wave allows the pilot to cross great distances. With the invention of the flexible-wing glider, which allows wing deformation while in the air, flight time was noticeably extended by using aluminum tubing and no wires for construction. 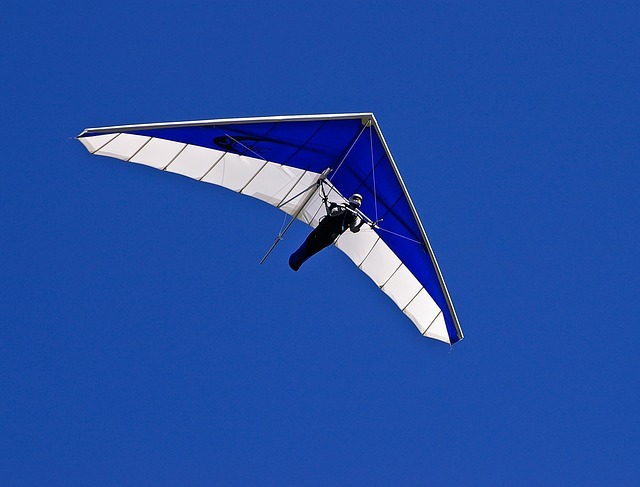 Today, some pilots attach small motors and propellers to their hang gliders, meaning they can take off from flat ground. There have been instances of people flying using the Morning Glory cloud, a rare phenomenon which forms a spectacular 621 miles long “roll cloud” that moves at speeds of about 40 mp/h. The lifting air rising above the cloud offers pilots the chance to fly for long amounts of time without seeking other lift methods. It is extremely rare, and not many people have had a chance to try this out. 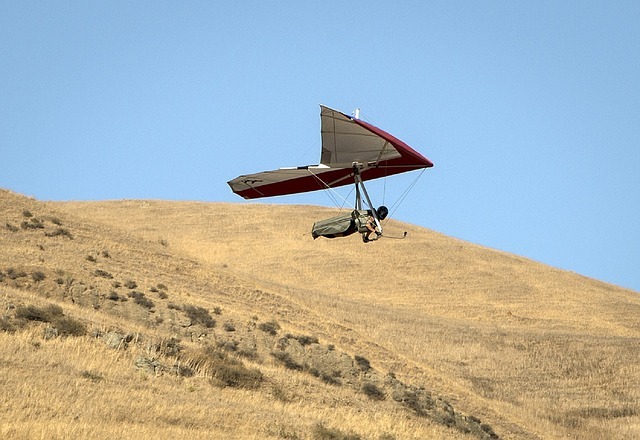 Scientists are looking for new ways of extending the flight time of the hang gliders. Compared to the old designs and flight times, we have come a long way. But, as always, there is still a lot of room for improvement which is sure to come in the near future.